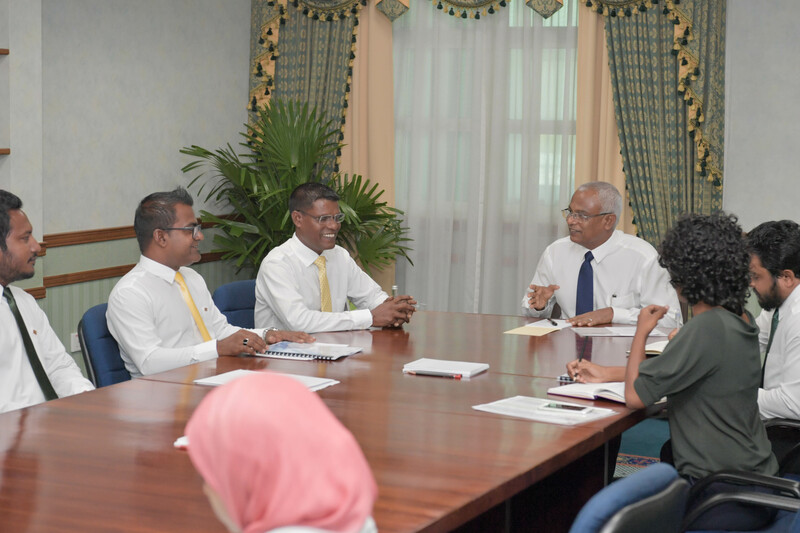 President Ibrahim Mohamed Solih has this afternoon met with members of the Inguraidhoo Island Council of North Maalhosmadulu Atoll. In this regard, council members noted the need to introduce a way that people can earn income while staying at their own island. They also emphasized that social issues faced by the island’s community. During the meeting council members also highlighted the shortage of employees at the health center and the lack of a multipurpose hall at the school. Moreover, they noted that they want to introduce A level at the School. Further, they highlighted some of the services required by the island’s community likewise highlighted water and sanitation service, banking service. They also spoke on the need to provide sporting facilities in the island targeted for the youth population, in order to increase youth engagement within the community. Speaking at the meeting, President Solih assured that the administration will put in every effort to fulfill the people’s needs.